I often post about my itty bitty small town, and sometimes it really does sound like Mayberry. As anyone who has ever lived in a small town call tell you, it's not always a cake walk. People are nosy. Gossip is unavoidable and no one really has true privacy. But yesterday...yesterday was fun. 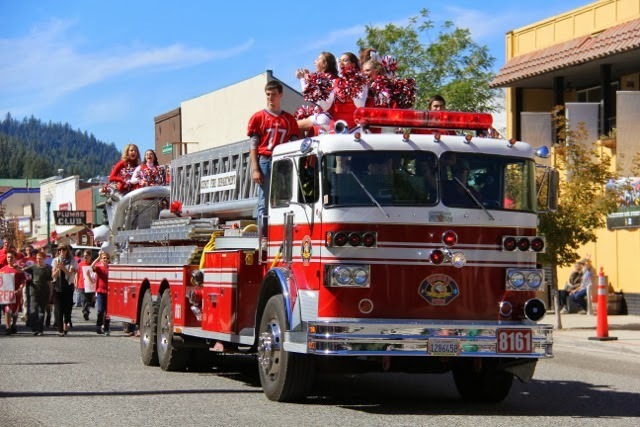 It was Homecoming Day for the high school. As a non-football watching parent of elementary school kids, Homecoming wouldn't normally make my radar. 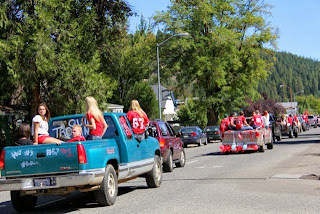 This year, though, our entire elementary school, all clad in the high school's red and white colors, walked down to Main Street and watched the whole high school (divided into class floats) drive slowly through our little town. This is our high school principal, our sheriff, and our local CHP commander, posing for a picture in the middle of the parade. 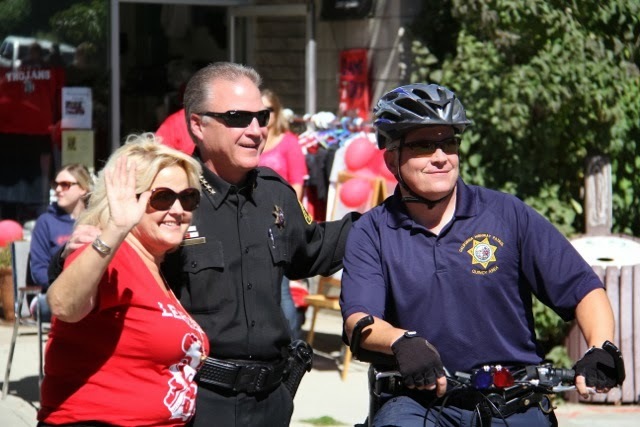 (As Oldest shared with me, that bicycle is tricked out with lights and sirens just like a patrol vehicle). The CHP and Sheriff's Department were also in their cars at the beginning and end of the parade. Some of the younger officers on bikes pedaled past the elementary kids and gave them all high fives. 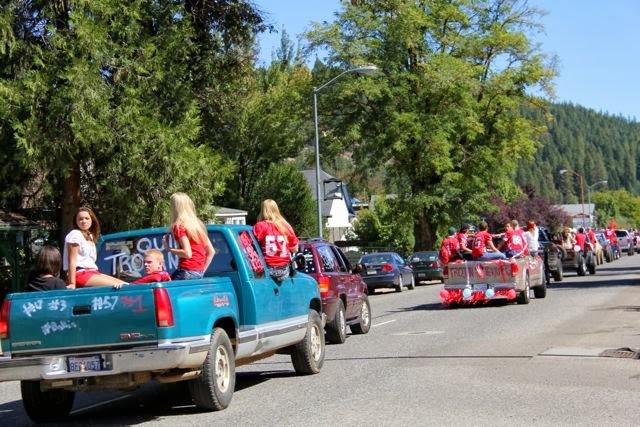 I loved the fact that kids were hanging dangerously out of the trucks in the parade. They were in the pickup beds, on top of the fire trucks, sitting on the window sills. Since we're so safety conscious now (with good reason!) these kids didn't grow up riding in pick up beds like my generation did. But they had a ball "breaking the rules" for this short time.